Perfect Body Laser has the BEST FDA approved lasers available in the world! Perfect Body Laser is the ONLY Solta Medical Black Diamond Award Recipient for 7 consecutive years! Perfect Body Laser is the ONLY laser facility in New York to offer a written 10-year guarantee! 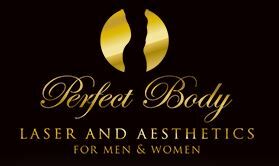 Perfect Body Laser has over 24,000 clients and over 1 million treatments of experience! Perfect Body Lasers reviews are better than any other laser facility in New York (5-Star)! At Perfect Body Laser, there are No Needles, No Cutting, No Down-time. We always offer free, discreet consultations, $299 to start any procedure, and 0% financing for almost all of our Laser Services. Perfect Body Laser offers world class lasers, world class staff, and the most experience & awards in the Laser and Aesthetics Industry.